Using high velocity, high pressure air, Curran is expert at scouring tenacious scale and deposits from tube substrate and pits. 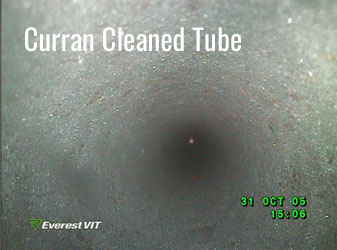 Curran tube ID cleaning has facilitated high integrity NDE data acquisition of air coolers, SRU exchangers, and surface condensers. 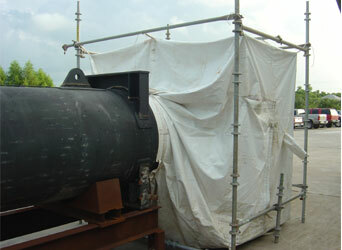 Curran crews are expert at performing work in-situ, during turnarounds and equipment maintenance outages, providing vacuum containment to eliminate nuisance dust, and capture all waste debris. 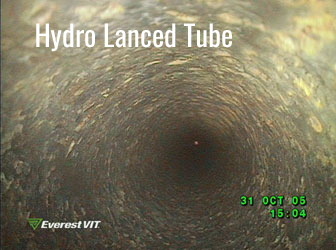 Cleaning the ID of air cooler tubes for inspection using Curran cleaning method overcomes the issues associated with hydro blasting. Curran crews can execute work on existing catwalks, use vacuum tight containment, and bridge headers using proprietary tube-end to tube-end pitch and catch system. 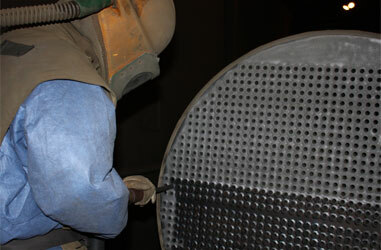 Curran cleaning of air coolers has become a best practice at many refineries across the globe. At many refineries Curran provides “operational cleaning” of tube IDs too, returning heat transfer duty by effectively cleaning scale from tubes not captured in the NDE scope of work. 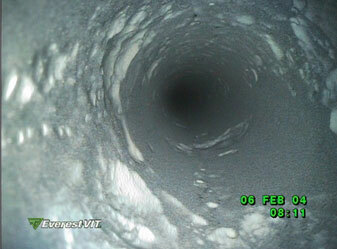 Contact Curran to discuss your tube NDE and maintenance cleaning strategy.